Professional home staging is an established strategy applied to sell a house here in Lake Wales. Some advantages to home staging include less time on the market and better offers. And you should definitely consider professional home staging if you need a quick home sale. Home staging is part of preparing your home for sale. Staging focuses on your home's presentation to buyers and buyers' agents while showing off the features of your home with strategically placed furnishings and decorations so that your home seems more spacious and buyers can envision living in your home. 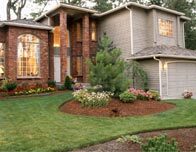 First, look at the exterior of your home, better known as your curb appeal. Examine the outside of your house from a quick glance from the street. What jumps out at you? What would've-been-eye-catching characteristics seem to fade into the background? Understanding this assists us in deciding what we can do to invite buyers from the street and into your house. If your home isn't attractive on the outside with refreshed paint and blooming greenery we'll need to address those as well. Follow the Curb Appeal Checklist and raise your house's final selling price. Does your home seem to say, "This is Your New Home" to a buyer? 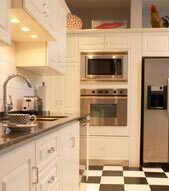 Touring your property with a critical eye, I'll suggest adjustments that build up market appeal. I'll help you take away anything that gives the impression of clutter. Table and counter tops should be free and clear. Knickknacks, souvenirs, family photos, and kids' artwork should get moved out of sight. I can help you simplify the decor of house. Disheveled or dirty places make your home seem less spacious and buyers have a harder time picturing themselves living there. With me by your side, you'll know that your home has mass appeal and that it's inviting, steering clear of "loud" or "can't-work-with" hues on the walls and furniture. And if none of your belongings are there, you can consider temporary furniture. The goal is for your home to look lived in as opposed to cold and empty. At every showing, we want to capture buyers' attention. Dark rooms can really dampen a buyer's spirits, so we'll do things like part the curtains and create light where needed to invite the buyer inside. Together we'll enhance the air of the house with enjoyable music playing softly and assure a delightful aroma circulates from every area. We'll include cozy-looking bedspreads, and pillows on your love seat and bedding. We want buyers to feel like your current home has the potential to be. If you need even more information on home staging to sell your property quickly in Lake Wales, Florida, contact Heidi Gravel and I'll clue you in to the fastest ways to sell your home.